Five sections with effects that can be turned on and off individually. 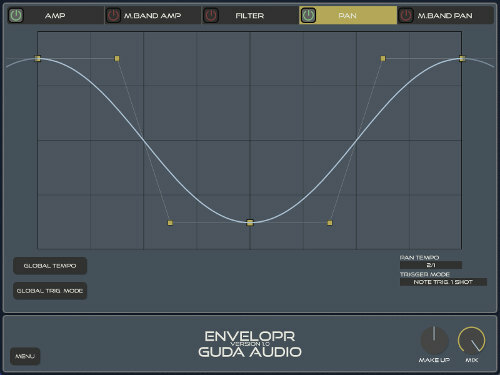 Amp section, perfect for the sidechain ducking effect, always sample accurate. Amp multiband section, sidechain duck just the bass or have the sound moving. 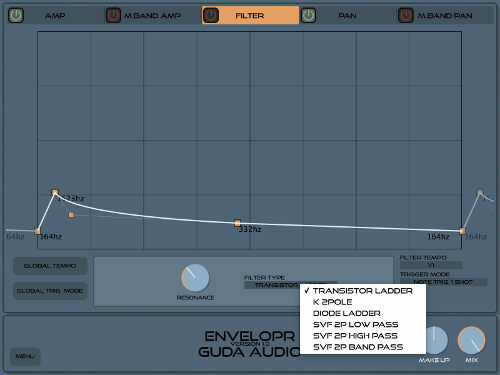 Filter section withseveral oversampled high quality filter types. Pan section with easy panoramic movements. Pan multiband section is the multiband version of pan. Right click or click menu button for menu with different GUI styles and sizes. 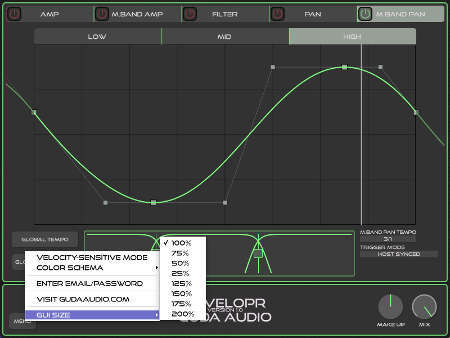 Here is also the option to unlock EnvelopR from demo mode with serial key. 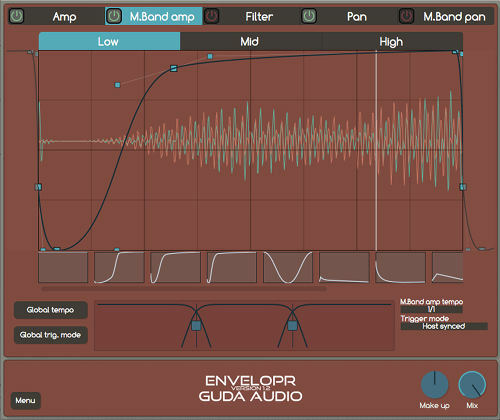 EnvelopR example on a melody track.